There's no such thing as a free lunch. At least there won't be when some 2,000 Facebook employees move into new offices in Mountain View, where a city law restricts tech companies from offering free food to employees. Marianne Favro reports. At least there won't be when some 2,000 Facebook employees move into new offices in Mountain View, where a city law restricts tech companies from offering free food to employees. Businesses near the new Facebook offices support the law. The manager of the Milk Pail Market, which is located just a few steps from the new Facebook offices, is hoping hundreds of employees will head there for lunch. The Mountain View City Council in 2014 passed the law after hearing from restaurant owners near Google that they were not getting the business they had expected because the tech giant offered employees free food on campus. "We felt that employees should patronize existing businesses nearby and this law was a way of encouraging that," Mountain View Councilwoman Margaret Abe-Koga said. 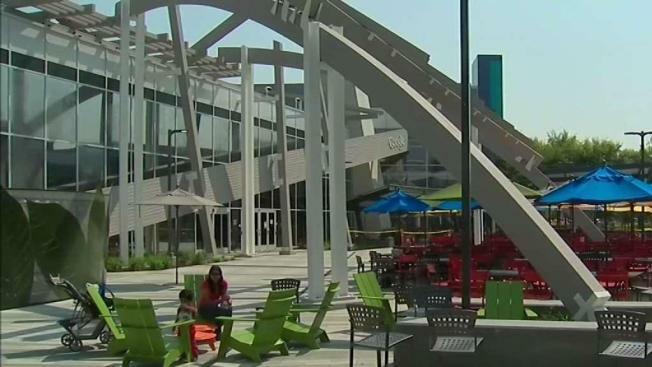 Facebook can still have a cafeteria when 2,000 employees move into the building in the fall, but the company can't offer food that's been subsidized by more than 50 percent. Erika Rasmussen, manager at Milk Pail Market, in the same center. Her family has owned the business 44 years. Rasmussen said she is glad the city passed a law to help smaller businesses because it is tough to compete with free food. "It will allow people to come to our store for lunch, and we are thinking of starting to offer sandwiches, so they will be supporting us instead of supporting their own internal cafeteria," Rasmussen said. "This new space, with its proximity to our headquarters in Menlo Park, will support part of our growing workforce." Abe-Koga said it is possible the city may consider expanding the law to include other parts of Mountain View, possibly the North Bayshore region near Google.